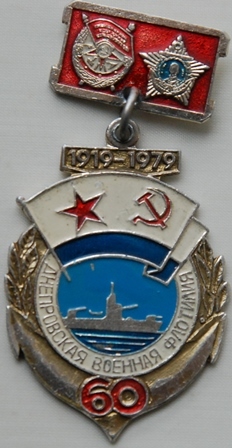 Veteran badge for the 60th anniversary of the Dnepr river fleet featured in Volume I advertised here. Purchase with confidence, open to all except alexscl (aka Liopa), Bulmer, bundtrock, kiwiussr (aka Rua), and medals73. SPECIAL FOR FIRST-TIME PURCHASER - DEDUCT 20% FROM WINNING BID AMOUNT!